When is a quarter worth more than 25 cents? 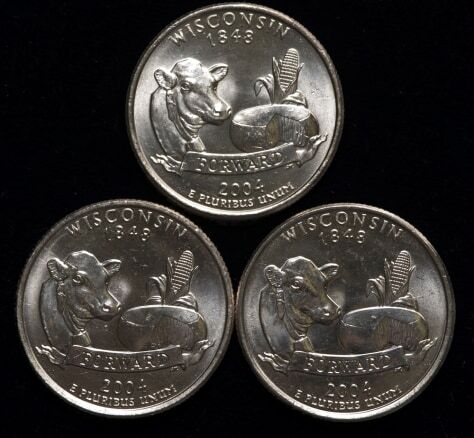 A Tucson, Ariz., coin store owner found some unusual Wisconsin state quarters in his store last month. The one at lower left appears to have an extra downward-pointing leaf at the lower left of the ear of corn, just above the wheel of cheese. Another version, lower right, has the stray leaf pointed up. The one at top is correct, with no defects.